My Beginners Simple Sampler classes are all in full flow this week and next. Look at their lovely Simple Sampler blocks starting to come together into fledgling quilts - aren't they all wonderful? 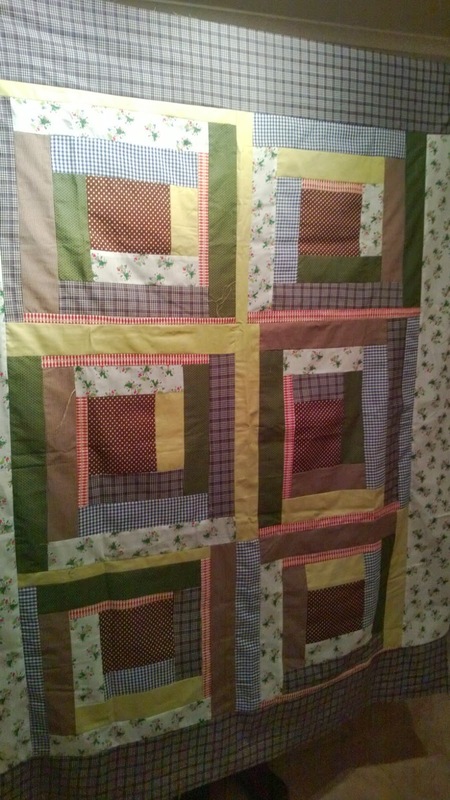 I'm always so proud of these first quilts. People work so hard at taking on board so much new information. You really can't underestimate what a huge learning curve Simple Sampler is. Many people come to me having not sewn since school ( if even then!) and they leave Simple Sampler with a handmade quilt - it's quite an achievement on their part - it's always a pleasure to help it happen. 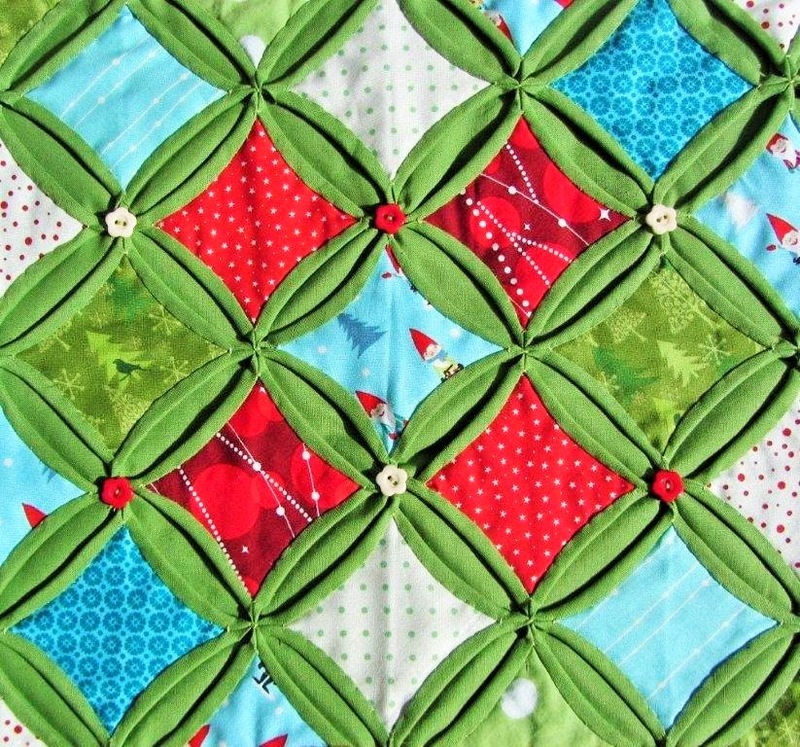 We are moving on to English Paper Piecing and Applique in this class running through from now until the summer, but if you'd like to learn how to make your first quilt, check out our next round of Simple Sampler that starts in the autumn,. There's still some places during the day but our evening class is full and we are taking names on the wait list for autumn and booking our January 2015 evening class so do get your name down early if you'd like to join in the fun next time. I'm totally immersed in EPP at the moment preparing for a class at the end of May that is devoted to it. It's the first time I've taught a dedicated EPP workshop and its been creative dynamite for me! I've always loved EPP. I love its versatility - you get to work with such interesting shapes, and I always loved just how portable and convenient it is - I basically always spend all summer raving about it on cricket outfields and in deckchairs by the sea! Preparing for this workshop - which is all about really exploring a technique - has blown the doors off the possibilities of this technique for me. I've been spending way too much time looking at Islamic Tile Patterns and Spanish Moorish designs online. I'm even surfing maths sites looking at tessellation! It's official - i'm an EPP Geek. The class starts on Tuesday the 20th May. Today I taught one of my favourite classes - Farmer Wife Quilt-along. This is another one of those projects that leaves you just a little bit bereft when you finish it. We are in month 7 of 9 at the moment (this months blocks above) and it's just so exciting. We are on the cusp of starting to sash the blocks together, sashing fabrics are being trialed and cut out. Our little blocks are about to get their moment to turn into a magnificent swan of a quilt for each person. It's such a fab stage of the making process. Really, it's enough to get you leaping out of bed in the morning, even on a day like today! Happy Easter everyone. We've had a fun filled few days of family, feasting, chocolate, laughs and a little bit of DIY and decopage as we continue to get the PlainStitch Shop ready for a busy week when we reopen tomorrow. Thanks to everyone who popped in to say Hello on Saturday. We had such a fantastic view of the festivities for Dolly the Oldest Barmaid in England, over at the Red Lion, it was a special day in our village. My daughters made me the lovely SHOP sign for the door of my new shop over Easter - isn't it lovely? 2. We're getting so much lovely new fabric in. 3. We've restocked on the lovely Wildwood prints that you've all loved so much. 4. We've got the first of our order of the fabulous Tilda prints. They look lovely with the Wildwood actually. 5. Or they make a fantastic subtle backdrop to these gorgeous blowsy Rose prints don't you think? 6. Tula Pinks Foxfield is looking so luscious. I'm using it for my summer English Paper Piecing project - its a reason to be cheerful in itself! 8. Thank you so much for the super enthusiastic response to our Autumn classes - we've been overwhelmed! If you are thinking you'd like to take Bee in My Bonnet, Farmers Wife during the day, Dressmaking or Machine Embroidery and you haven't yet let me know do so sooner rather than later as all of these classes are filling up fast. Simple Sampler in the evening has sold out already, sorry. 10.Our Workroom is now super serene with all the sample quilts and sewing organised and no longer falling on my head every time I reach for something to make a point! 10. On Saturday it's the birthday of Dolly, the Barmaid at The Red Lion Pub ( the timber framed building in the pic, opposite our Workroom). She's 100 years old and has been working at the Red Lion in Wendover for 76 years. She's having a huge party on Saturday and everyone's invited to a family fun day so do drop in to the Red Lion and wish her a Happy Birthday then pop over the road and say Hi and see our lovely new ShopRoom while you're about it. Our Autumn Class Schedule is now available online. Visit the Autumn Classes 2014 tab for more details. We are really excited about the range of classes we have to offer and we hope you are too! How to choose?! If there's a class you'd like to take, drop us an e mail to receive the Class Information Sheet with more details and a booking form. We are taking bookings on a strictly first come first serve basis so get the booking form back to us sharpish if you have a favourite you don't want to miss. Availability is really limited on some classes where we need to preserve the small class and lots of help approach that we always strive for. However this is balanced out this term by some bigger classes that will run at St Anne's where a busy bustling class makes for a more creative experience. 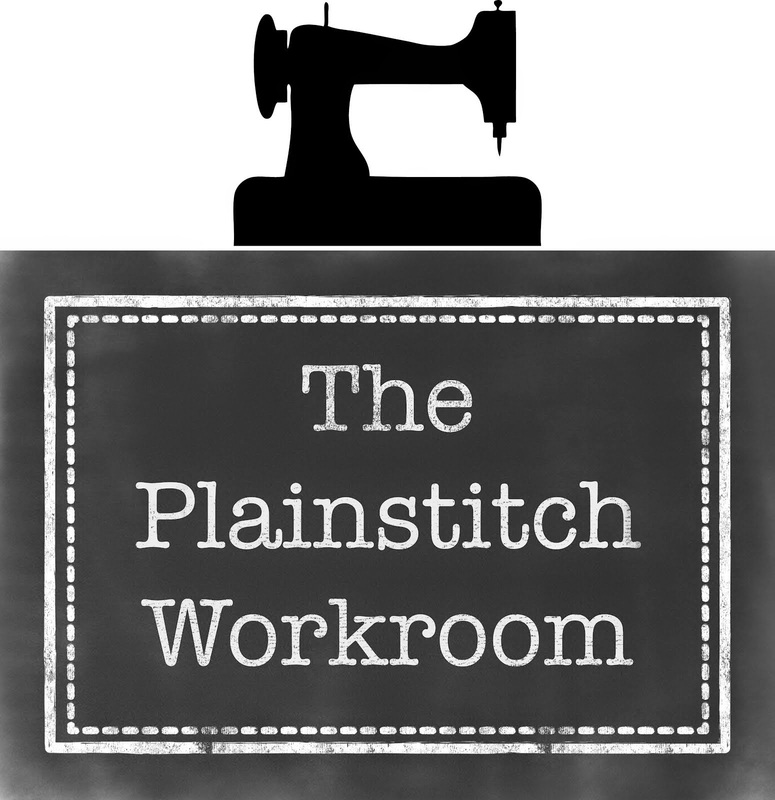 We have Class Information Sheets for all of our classes, e mail Deb (deb@plainstitch.co.uk) or Helen (helen@plainstitch.co.uk) for information about any class and a booking form to reserve your place. We try to keep the availability on the website up to date, but only a booking confirmation email from us on receipt of a booking form and payment is a guarantee of a place. Helen will be holding a waiting list for any over subscribed classes and places will be offered to those on the list if they become available. Now you know by now that summer isn't summer without an EPP project for me (here is last years). As soon as the spring sun comes out I'm planning ahead. These Leah Duncan Meadow fabrics started me off. The saturated colours just shouted summer to me and I've been adding fabrics to my little pile starting to imagine how this quilt will come together. I'm sketching out ideas. Then today these lovely Tula Pink Fox Field fabrics arrived for the shop in the post and they've been added straight to the pile too! So much sumptuous colour! Now I just need to add me some serious summer! 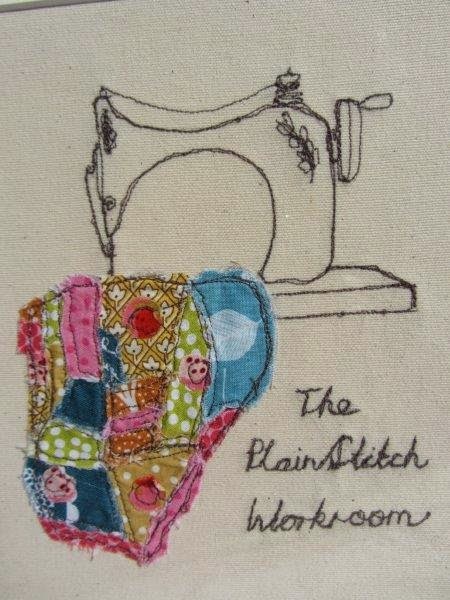 If you fancy some EPP summer sewing there is just one space left on the class that starts in late May. Or get a summery fabric fix and pop into the shop. We are closed this week as we decorate and get ready our new ShopRoom but we will be open on Sat 19th from 10am - 3pm so pop in and have a browse! Obviously i'll be by the window in a deckchair paper piecing if this sun continues! We've just wrapped up a series of workshops exploring the fabulous, classic but modern, versatile, log cabin block. This was a new style of class for us - designed to be super creative. Taking a basic concept and then exploding it - making log cabins big, small, in negative space, wonky and more! It's been such a blast! Lots of exciting ideas, fantastic colour combo's and some glorious quilts bring made. Take a look at the work in progress. This class runs again starting in the morning on Friday 9th May and running through 3 classes til late June. Come and explore your creative side and Log Cabin with us!